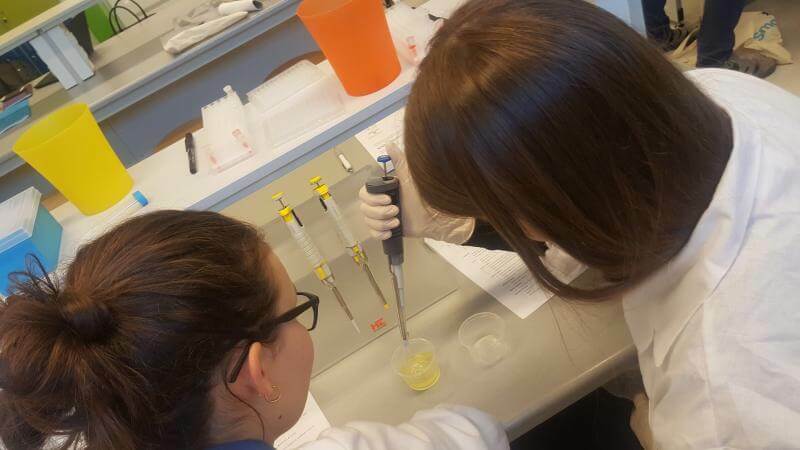 “Discovering proteins”, the first ADAMED SmartUP Academy class took place on 27th February. 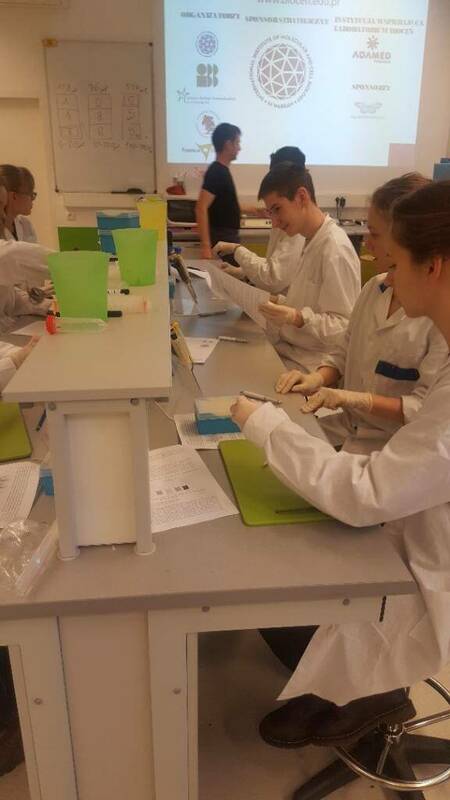 During the workshops, organised in cooperation with the Centre for Innovative Bioscience Education in Warsaw, young enthusiasts of science could learn how to work with proteins, what the science of proteomics is about and how knowledge about proteins is used in biotechnology. 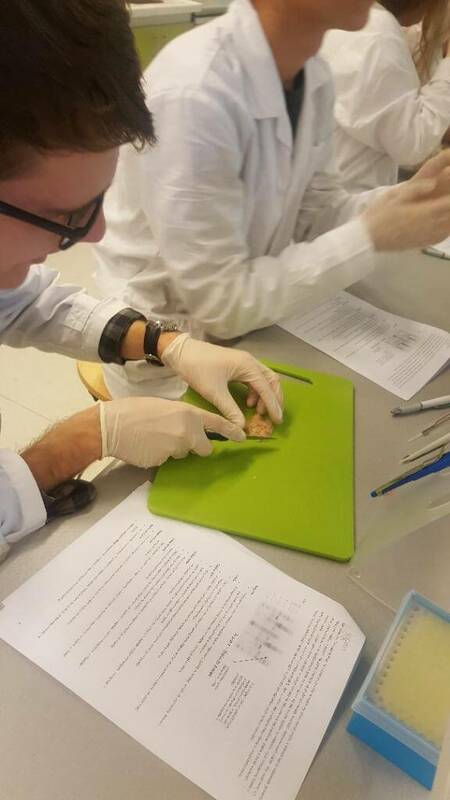 The participants were able to use a professional laboratory, under supervision from the instructors, where they isolated proteins from various tissues and slides, such as: fish muscle, salad leaves, cow and soy milk, chicken egg yolk and white, and E.coli bacteria “producing” various proteins on an industrial scale. Next, after measuring the concentration of protein in the test samples using the Bradford protein assay, they grouped the proteins by size on a special gel. They could observe the results of their work after four hours, in order to identify on the gel the proteins examined from the slides. Before the experiments, a theoretical class was conducted as well, where the teenagers could learn for example whether milk casein is greater than egg ovalbumin, what the difference is between cow’s milk and soy milk, what muscle myosin and actin look like, and whether a DNA test is enough to reveal the secrets of an organism. The ADAMED SmartUP Academy courses are a chance for young people to conduct complex experiments by themselves, solve scientific puzzles together, and to meet people with similar interests and passions. Information about future courses is regularly published at www.academy.adamedsmartup.pl. This is the 3rd edition of the series – you can view pictures from previous editions on ADAMED SmartUP’s fansite.